Product Description: This well-designed power chair Challenger 1450 has all the basic equipments. With the non-programmable controller, maintenance is minimal. 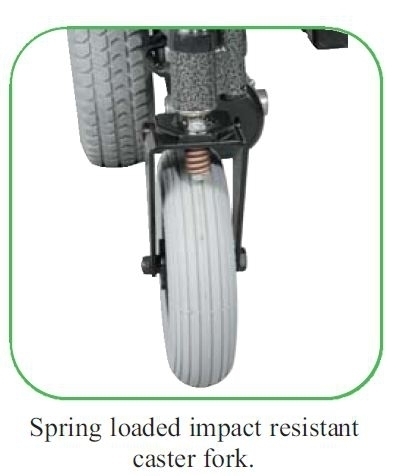 Premium high-tech direct drive motors provide smooth ride and lowers electricity consumption. Compact flame can be folded for easy transporting. Small turning radius makes indoors maneuvering a snap. Standard equipped with fat free airless pneuatic rear tires for comfort. Easy folding black powder cated flame with wrap around, swing backarmrests. Sat belt, Eadded brathable nylon ulpholstery, padded arm and calf pads. Tool-free ack height adjustable in 1" increments. 8"X 2"cast aluminum caster wheels with air foam tires. 10"X 3"molded rear wheels with at free airless pneuatic tires. 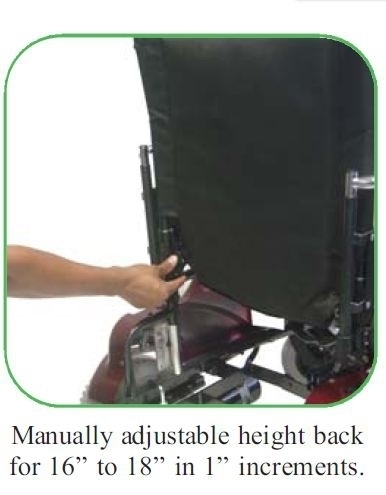 Anti-tippers plus cam action swing away footrests or legrests with rollerbumpers and heel loops. Integated non-programmable controller with direct drive right angle gearmotor. Fast charging 3 amp autoatic charger.